Jacques-Philippe Potteau was a French visual artist who was born in 1807. He was an assistant at the Muséum d’Histoire Naturelle, had been trained in scientific techniques and methodology, but his photographs were not a paid commission and appear to have been taken of his own accord. 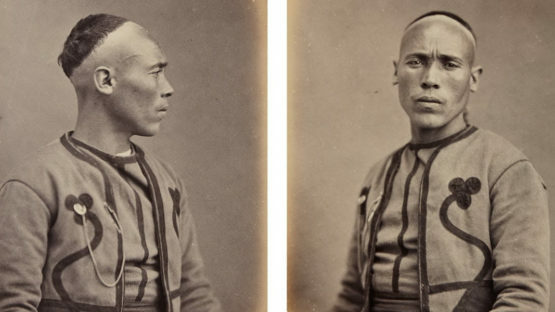 Working from a studio beside the Jardin des Plantes, he photographed a wide range of passing visitors, his pictures here recording the occasions of Japan’s earliest diplomatic encounters on European soil.